We're very excited to share that Artisan & Fox has now officially joined the Alliance for Artisan Enterprise! The Alliance for Artisan Enterprise is a global community of organisations supporting artisans. Launched by former Secretary of State Hillary Clinton, the Alliance provides a platform for a diverse array of stakeholders, including social enterprises, non-profits, governments and multilateral agencies. Artisan & Fox is privileged to be joining this hand-picked global community, alongside notable social enterprises like Soko, and esteemed organisations like the UNHCR. Artisan Prem, from the ancient city of Bhaktapur in Nepal. Our team has an ambitious goal to double the incomes of 10,000 artisans in the next 2 years. The Alliance will bring us one step closer to fulfilling this goal. So what does joining the Alliance mean for us? With the Alliance's combined network of over 89,000 artisans in 109 countries (90% of whom are women), and an advisory board with advisors including the CEO of Acumen, Jacqueline Novogratz, and the CEO of Root Capital, Willy Foote - we’ll be able to expand our local artisan outreach and access a wider global network of artisan support stakeholders. 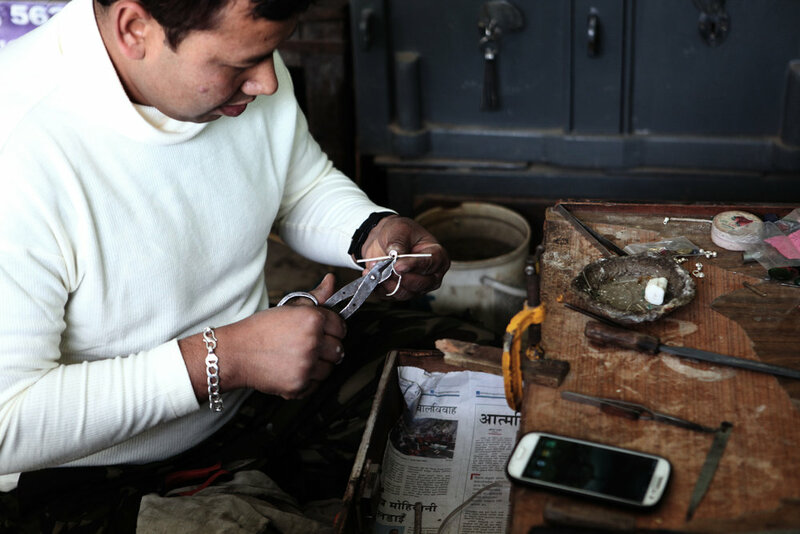 The Alliance also runs programmes with Kiva to develop tools and resources to support artisan businesses - which we hope to tap into for our artisan partners. Artisan Saeeda, an exceptional artisan from Afghanistan. Our vision is to inspire human connection, fostering a more socially conscious and ethical world that cares about the provenance of where our things are made. For you, the mindful consumer, our goal is to bring you extraordinary craftsmanship and rare designs that you’ve never seen before. For our artisan partners, our goal is to raise their incomes, preserve heritage and work to empower women micro-entrepreneurs. Artisan & Fox may be from the tiny island of Singapore, but we have an ambitious dream. We're on our way to becoming the world’s largest online marketplace for extraordinary craftsmanship and ethical fashion. Guided by our shared values of ethics, transparency and sustainability, we know we can improve the global fashion and crafts industry, one artisan at a time.